All of us can be guilty of feeling nostalgic for the “good old days.” Space advocates are no exception. Many hark back to the glory days of the U.S. space program during the 1960s. After years of eagerly awaiting a magical “Kennedy moment,” space advocates are finally coming to the realization that John F. Kennedy is not likely to be reincarnated in any future president. Folks like Rick Tumlinson, Scott Hubbard, Bill Nye and many others (including the authors of this op-ed) have stated that we won’t get another “Kennedy moment” — nor should we want one. While Kennedy’s speech did lead to the Apollo program, it was also clear that Apollo was not a sustainable model — and thus not a model that we should try to replicate. 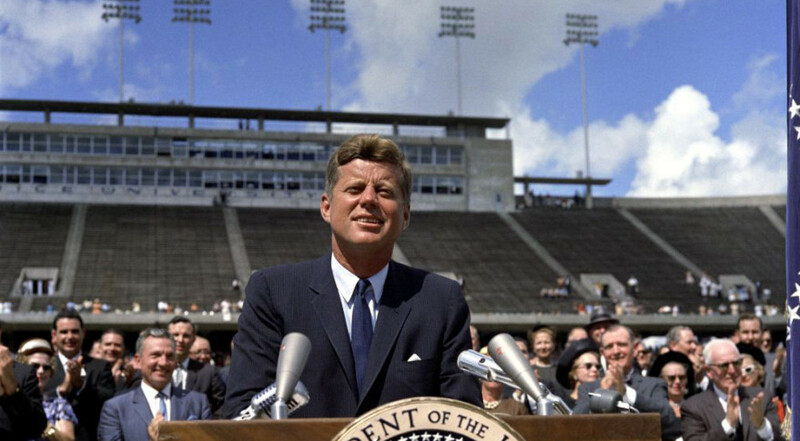 Several presidents have tried to give a space speech with hopes of rekindling the JFK magic, but their efforts failed to stimulate the same type of momentum that the Kennedy speech did and often injected a partisan edge to the programs. For example, regardless of the merits of the Vision for Space Exploration, one of the primary reasons that program was set aside was that it had become too synonymous with George W. Bush. That said, presidential leadership is needed, even if that leadership is primarily just to challenge NASA, industry/commercial and other players to articulate clearly how we can achieve our goal of landing crews on Mars starting in the 2030s — and to provide leadership and support when needed. What should be made clear, however, is that the next president will not need to reinvent our national space policy. The overall policy direction is fine, but despite a lot of progress with architectural elements and growing support from a number of stakeholders and policymakers, a clear pathway (including necessary precursors) has yet to be fully articulated. Ironically, this might end up being beneficial. The fact that there are still plenty of “gray areas” in the current path to Mars provides the next administration with an opportunity to put its mark on the program — to provide more clarity — without the need to do a restart and thereby throw the whole space community, contractors and others into chaos. This wouldn’t benefit anyone and would result in wasted efforts and setbacks. Another advantage in retaining the current policy framework is the fact that since the policy is not “the Obama Plan,” it is also not a Republican or Democratic plan. It’s a true bipartisan hybrid and presents an opportunity for a high-profile bipartisan agreement early on in the new administration — a rare occurrence in the current political climate. It would be naive to believe that space policy will rise too high in the consciousness of the presidential campaigns, but it is hoped that policy advisers for the numerous candidates, and for the individual who is eventually elected as the 45th president, will counsel their bosses that it would be far wiser, and far less complicated, to flesh out the current space policy and make sure that nobody doubts that it can succeed. One thing is certain: There is a fascination for Mars in the public imagination, as evidenced by increasing amounts of media attention it receives. Indeed, the highly anticipated film “The Martian” will be released Oct. 2. Can this movie be helpful in achieving the goal of sending humans to Mars, or will it be just another Hollywood blip on the radar that gets space enthusiasts excited, but does nothing to actually advance space exploration goals? That remains to be seen. Nobody is saying a film like “The Martian” will get us to Mars, but this particular movie is a great opportunity to stimulate a discussion of why we should accelerate our goal of landing on Mars and how we can create a sustainable program so that human missions to Mars are no longer just in the realm of science fiction. Chris Carberry is chief executive of Explore Mars Inc. His email is [email protected]. Joe Cassady is executive director, space, for Aerojet Rocketdyne and a board member of Explore Mars Inc.